Our near patient testing kits enables you to test patient samples outside the traditional laboratory setting. This potentially speeds up the process of diagnosis by providing test results at the point of care, allowing you to make an informed decision, without waiting for lab results and to take immediate action where appropriate, that leads to an improved healthcare outcome for the patient. 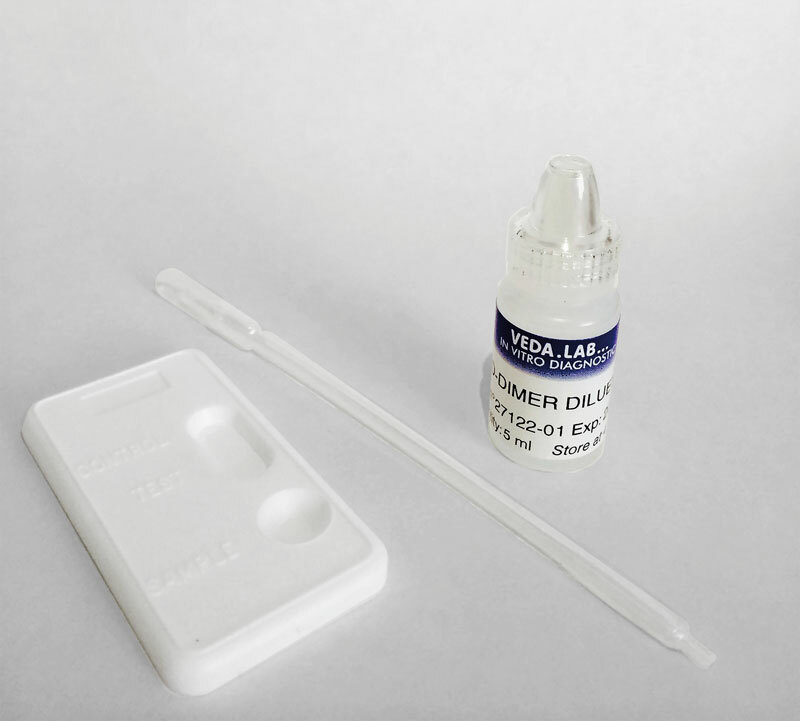 Our most popular near patient testing solution is the D-Dimers kit. This helps to reduce inappropriate referrals and speeds up venous thromboembolism (VTE) diagnosis by enabling clinical staff to test and review results whilst the patient is present. The test uses whole blood or plasma (e.g. finger-prick), dropped onto a kit, which is then mixed with buffer drops - giving a clear reading on the test kit itself. There is no need for any other expensive equipment. The kits are available directly from Oberoi Consulting and can be kept at room temperature in a cupboard. 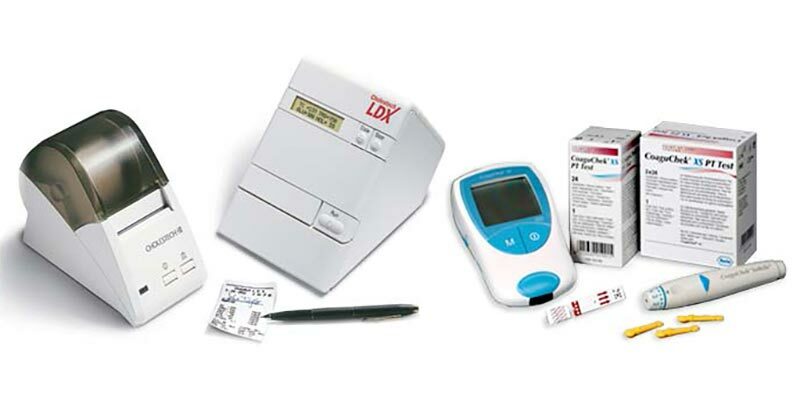 We also offer a range of other near patient testing kits, which can be viewed here. Download the following brochure for more information about the D-Dimer kits storage and use: click here to download. Oberoi Consulting supported Mid-Essex CCG to implement a new Primary Care based deep vein thrombosis (DVT) care pathway. An initial audit was carried out to evaluate and identify patient costs associated with the current pathway, which involved referring patients with suspected DVT to the local A&E. We also examined what a revised pathway could look like, including benefits to patient experience. Following the initial baseline assessment, a revised care Primary Care pathway for suspected DVT was implemented - with tests being undertaken in surgeries using D-Dimer kits supplied by Oberoi Consulting. Overall, the revised care pathway using the D-Dimers kits has led to a quicker and more efficient diagnosis procedure; which has cut down on unnecessary referrals, with obvious benefits for patients and clinicians.